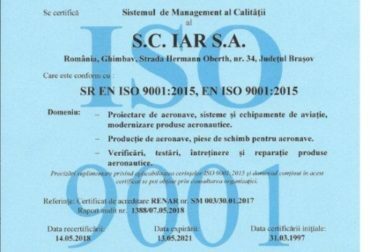 SR EN 9100 Aerospatiale Series by AEROQ organization. 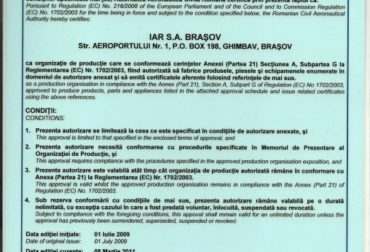 IAR S.A. is certified as production organization in compliance with Annex (Part 21) Section A, Subpart G of Regulation (EC) No. 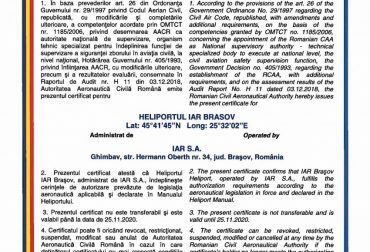 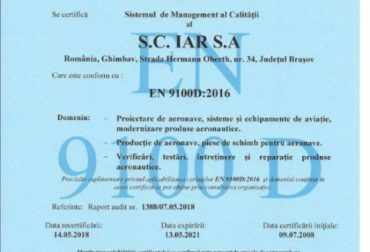 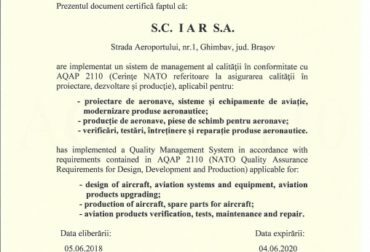 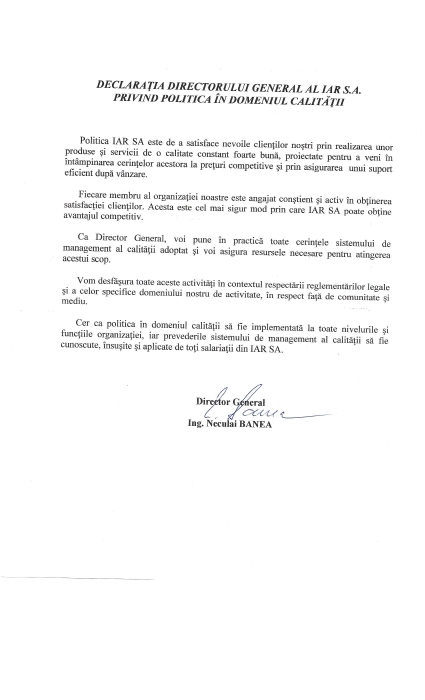 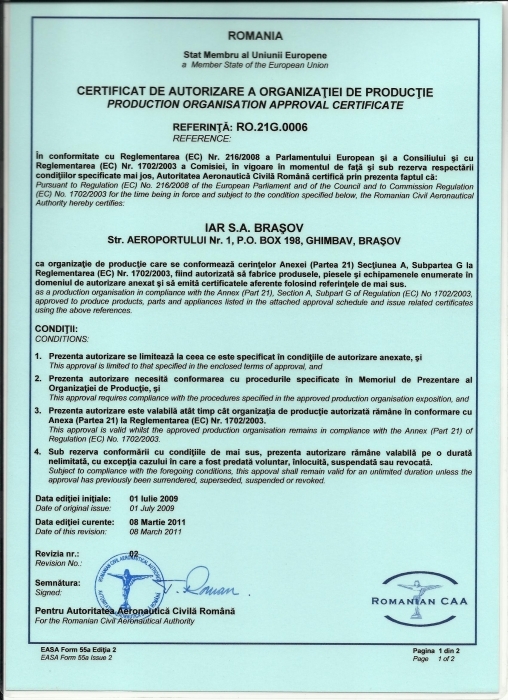 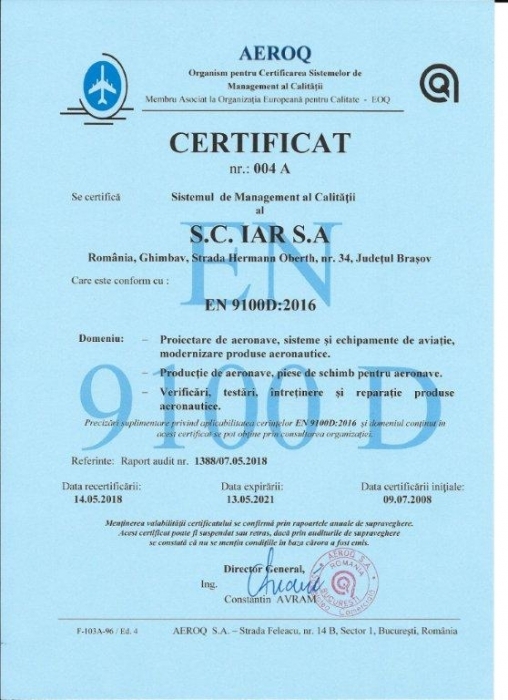 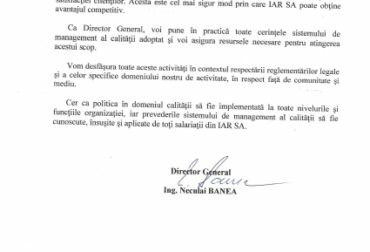 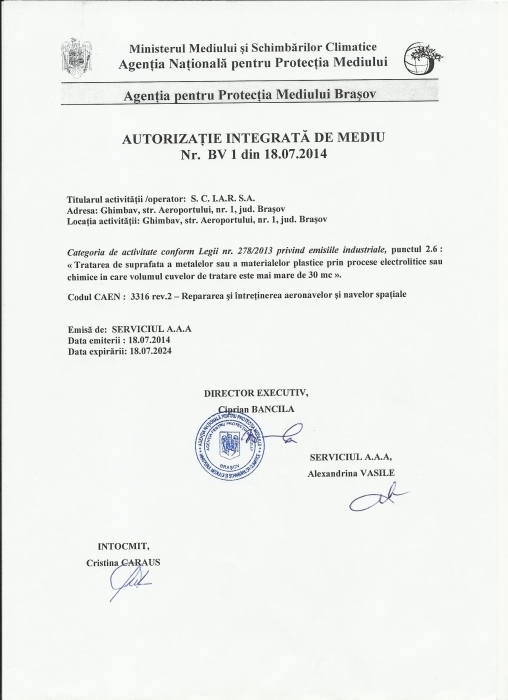 748/2012 by Romanian Civil Airworthiness AUthority..
IAR S.A. is certified as maintenance organization in compliance with Section A of Annex II (Part 145) of Regulation (EC) No. 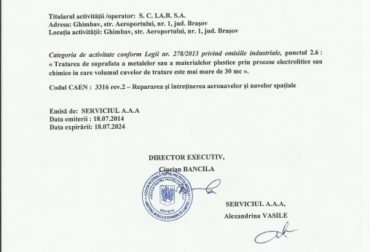 1321/2014 by Romanian Civil Airworthiness Authority. 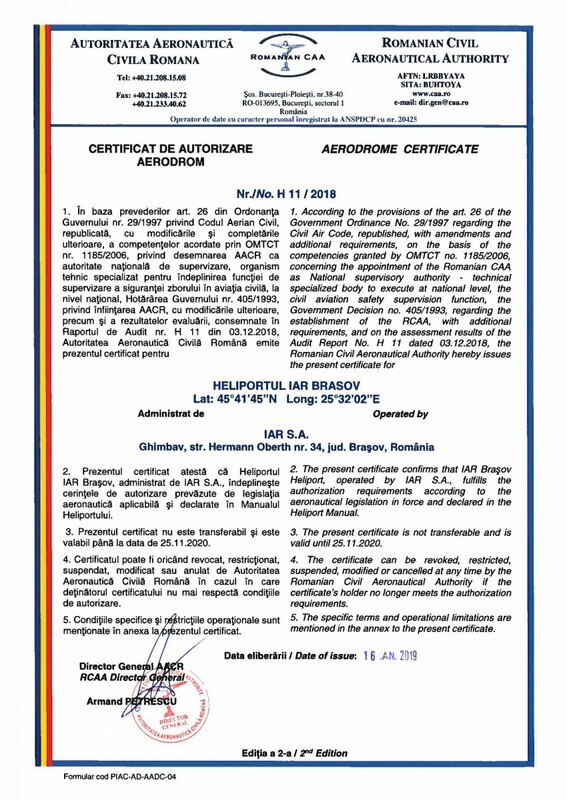 The airworthiness assurance for IAR Brasov products is made by the IAR Airworthiness Board which is an adequate organizational structure (high qualification personnel, facilities and equipment), with responsabilities, procedures and resources to achieve the airworthiness objectives. 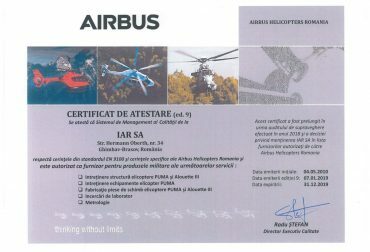 IAR S.A. is authorized as maintenance supplier of PUMA airframe and equipment and 316B airframe, and as parts manufacturer for PUMA and 316B helicopters by AIRBUS Helicopters. 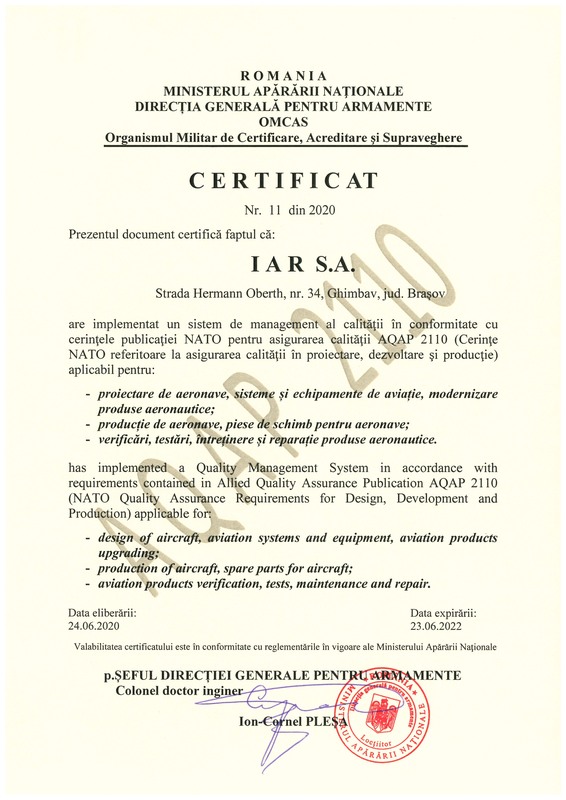 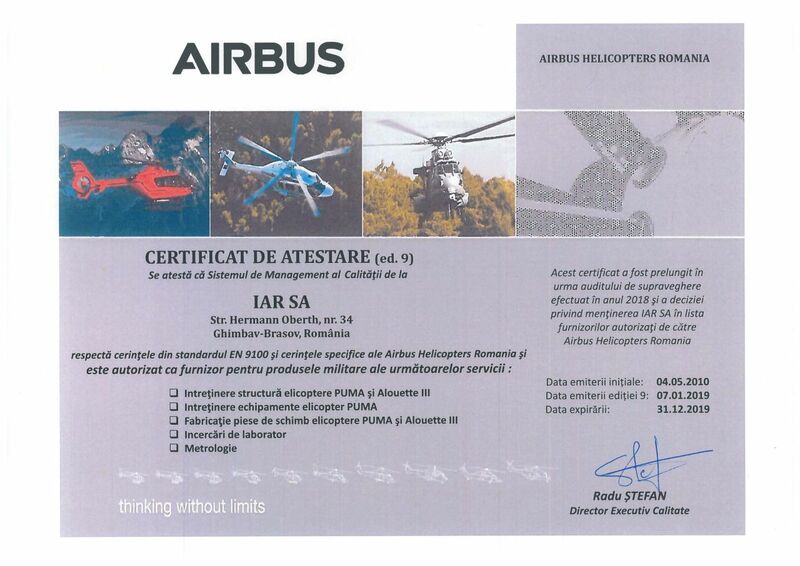 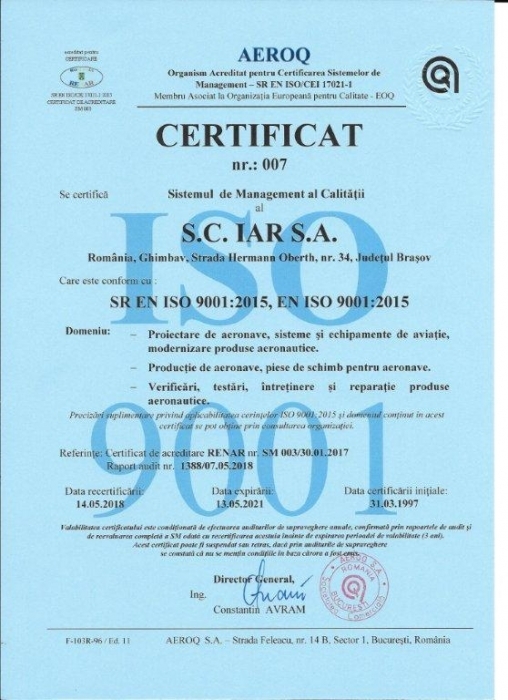 IAR S.A. is certified according to AQAP 2110 NATO requirement by Romanian MoD for Design and manufacture of aircraft, aircraft systems and equipment, modernization of aeronautical products, parts for aircraft, checking, testing, maintenance and repair of aeronautical products.